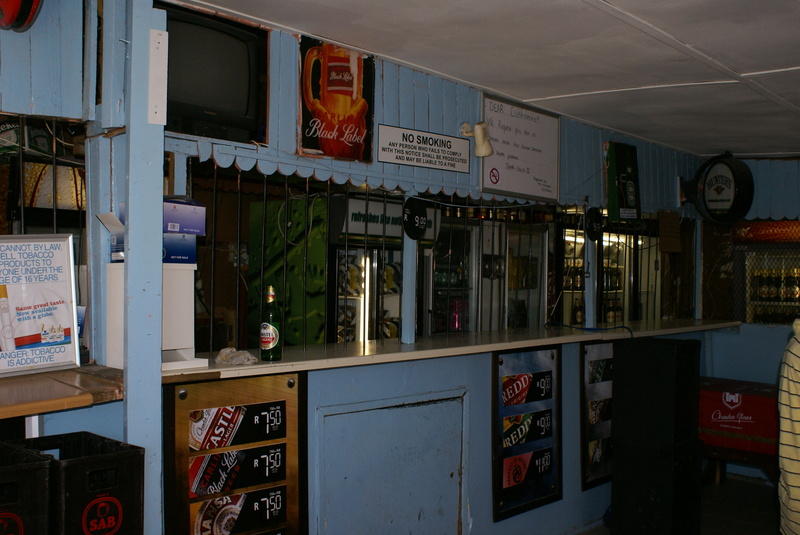 A fun place to have a drink, listen to cool South African music and meet the township people is a shebeen. Shebeens are small bars. Most shebeens will have a few tables often covered with plastic tablecloths, a small bar where quart size bottles of beer are displayed and sold, and lively township music blasting out into the street. Conversation is easy and friendships form quickly. A shebeen is a must visit for anyone who wants to get a real feel for one aspect of the Khayelitsha lifestyle. I was suprised to see the no smoking signs. Another myth blasted to pieces.